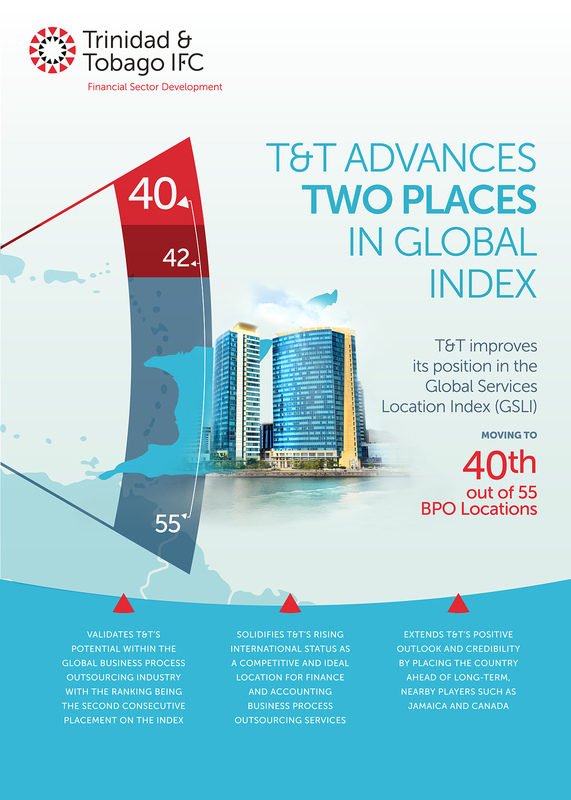 Trinidad and Tobago moved up two spots in the annual “Global Services Location Index” rankings recently published by U.S. consulting firm A.T. Kearney. The country’s 40th-place position improves upon its rank of 42nd in the 2016 edition of this service provider and outsourcing-industry benchmark report. 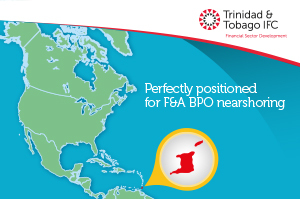 With its ascension, Trinidad and Tobago (T&T) is now positioned ahead of regional service providers including Panama, Jamaica, and Uruguay as well as international destinations such as Ireland, Spain, and South Africa. The two factors driving Trinidad and Tobago’s improved ranking are its positive business environment and financial attractiveness. The ease of working within T&T (with a score of 1.59), which is the metric A.T. Kearney looks to capture in measuring “business environment,” is seen as better than many larger and higher-ranked nations, including India (1.14), Russia (1.18), Vietnam (1.22), Peru (1.25), Mexico (1.35), Colombia (1.43), and Romania (1.49). The financial attractiveness of T&T also fares well compared to some of the study’s global hotspots. With a score of 2.5 in this category, Trinidad and Tobago even outranks China (2.37) as well as Portugal (1.91), Turkey (2.32), Estonia (2.39), and the Czech Republic (2.44).